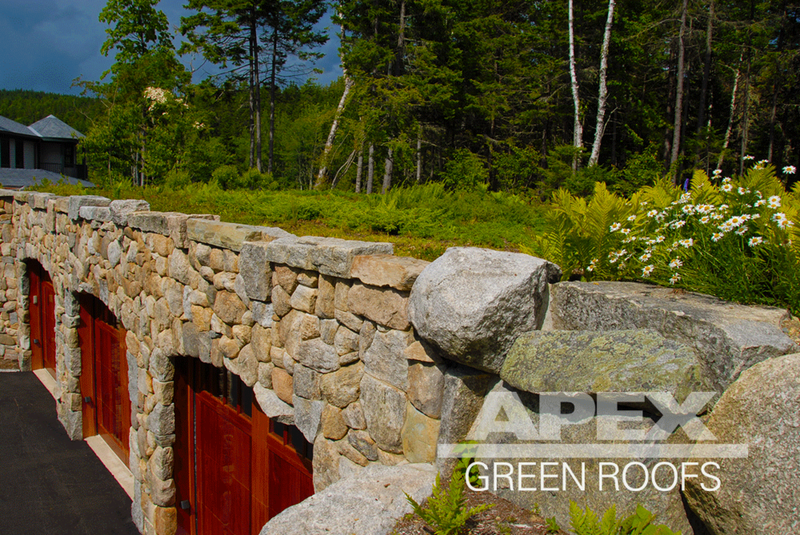 Apex Green Roofs Inc. has had the opportunity to work on some amazing residential green roof projects. These tend to be our favorites because each residential project is unique. Variables particular to location - such as sun and wind exposure, seasonal rainfall, native vegetation, and soil depth determine the most viable plant choice. 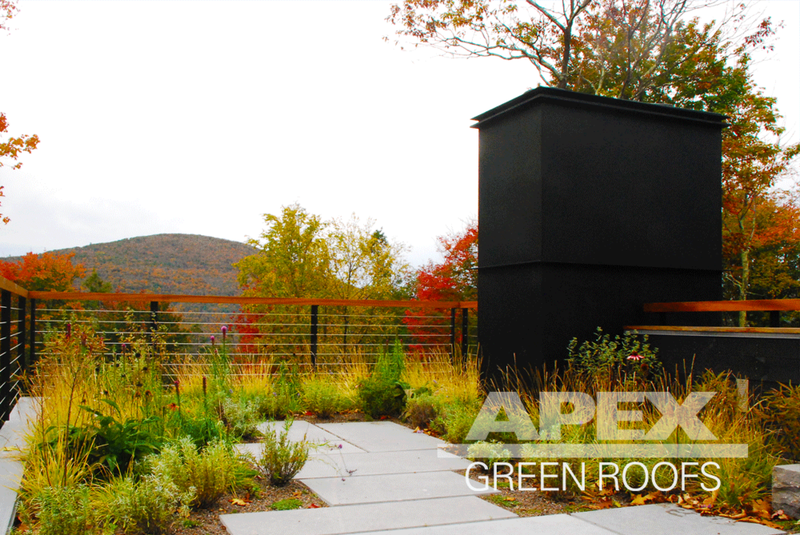 With 14 years of in-the-field experience building residential green roofs, Apex Green Roofs provides expert guidance in system design and implementation. With an average of 4 seasonal visits during the growing season we monitor and cultivate a healthy growth rate. Apex Green Roofs includes 1-2 years of seasonal maintenance as part of the installation contract to ensure that vegetation thrives during the establishment period. Installed in 2015 and a current green roof maintenance client: the "Earth House" is the Artist's Residence at Guilford Sound in Vermont. Approximately 6,000 sq feet, the vegetated roof abuts the meadow behind and truly blends with the landscape. The soil depth starts at 6" on the eaves, with a 10" blending zone between the green roof and meadow. Installed early in 2016 and a current green roof maintenance client: Private residence In Mt Washington MA with a 470 sq feet vegetated roof that enlivens a deck with a mountain view. This 4" extensive system is planted with 11 species of succulent sedum plant initially planted with 4 plugs per square foot. This pictures shows plant density 30 months into the establishment period. Private Residence Chappaquiddick Island M.A. Private Residence Southeast Harbour M.E. Installed in 2011 and a current green roof maintenance client: a private residence in Gloucester MA overlooking Folly Cove. With a 12" dual media system of drainage and growth media, the undulating living roof blends into the landscape where the vegetated roof meets the ground level landscape. 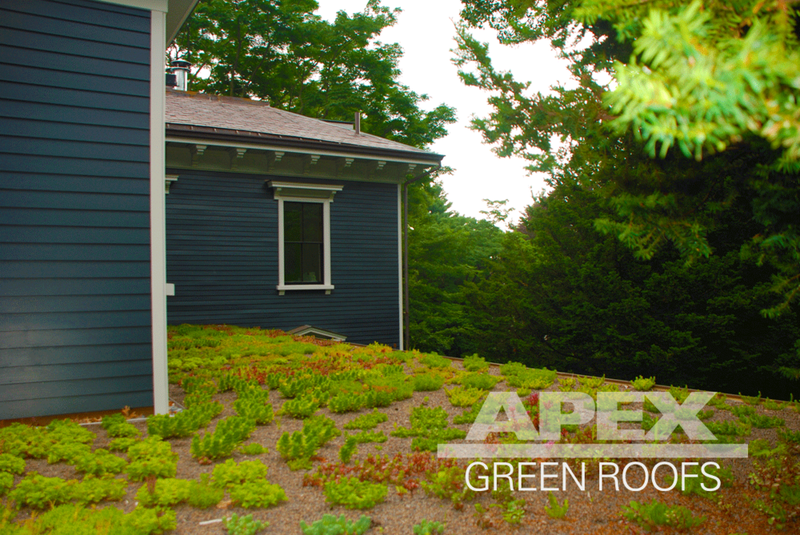 Installation early 2017 and current green roof maintenance client: a private residence in Martha's Vineyard MA, this vegetated roof deck is approximately 1960 sq feet of pre-grown sedum mat, has a soil depth of 4" and a maximum saturated weight of 28 lbs/sf. Originally intended to be all sedum mat, the owner asked for more plant variety. We cut out swaths of sedum mat and planted around 500 plugs consisting of 20 different plant varieties chosen based on site conditions. Private Residence Mt. Tremper N.Y.